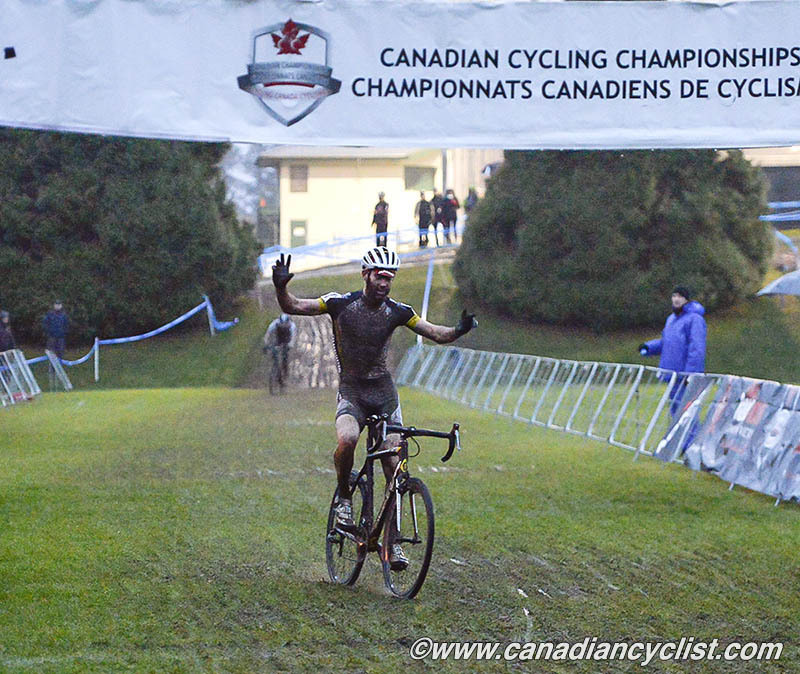 Organizer for the 2014 Canadian Cyclo-cross National Championships in Winnipeg has provided an interview with Geoff Kabush (Scott-3Rox), who will be trying to win his sixth elite men's title. Geoff Kabush heads to Winnipeg for Canadian cyclo-cross nationals on October 25th after a September of atypical results and welcome recovery. He fell ill at mountain bike world championships in Norway and subsequently couldn't repeat his 2013 podium performance at CrossVegas. Since then he's squeezed in some off-season fun and rest while home in North Vancouver. At age 37, the five-time Canadian cyclo-cross champion is one of North America's most decorated mountain bikers. He captured another off-road series victory at the US Cup in late June. In cyclo-cross he's stood on about a dozen significant podiums in the States. Kabush, who continues with the SCOTT 3Rox team in 2015, talks about what he's been doing since CrossVegas, the hunt for a sixth cyclo-cross maple leaf jersey, the film Working Dogs which features his career, and why he'll keep racing. Question: CrossVegas was your last 'cross race. How did it go? Geoff Kabush: It's always hard. It was surprising that I had a little bit of fight, but nowhere near enough to make the lead group though I was able to finish. I always enjoy that event and Interbike; it's fun to see everyone there. Since then I haven't touched the 'cross bike. This morning I'm going out to the garage to put that together. I've been on the same bike the last couple years so it's really comfortable. But I'm definitely going to do a few rides on it. And I think there is a local race in Vancouver I might jump into this weekend just to get comfortable on it at speed and do some barriers again before heading to Winnipeg. Q:What have you been up to since Vegas? GK: I've just been riding my mountain bike and really enjoying being back in Vancouver. There are so many places to explore - a bunch of the old trails on the Sunshine Coast and up the Sea to Sky Highway and around North Vancouver. I did a road trip to my family cabin on Hornby Island, visited my sister in Victoria, a little bit of hiking and time off. But now I'm looking forward to getting back into some steady riding. Q: How do you make the transition to racing 'cross after a long mountain bike season? GK: I'm used to riding so many different bikes - mountain, road, and 'cross. I know my bikes and how they handle. I think the transition has gotten easier over my career as mountain bike races have gotten shorter and shorter and more explosive, with physical challenges similar [to 'cross]. Q: Like other Canadians who excel in cyclo-cross, you're primarily a mountain biker. Why do you race cyclo-cross? GK: It's a fun time of the year. I've done it for probably the last 10 years. I still really like the social atmosphere and competition. It brings together a lot of the community that I have - friends on the road and mountain bike and now even specific 'cross athletes, and it helps me stay in shape a little bit through fall. It's a long winter if I don't have any events to go to. I don't know what it is about 'cross. It's just a little bit crazy riding around on the mud on skinny tires and I just wish I had more time to devote to it. There's still a lot of big events I'd love to do on the cyclo-cross bike. I talk every year about going over for the Christmas 'cross series in Belgium. Going to the world championship in Czech [Republic] is something I've been on the fence about all winter. I want to make sure in January and February that I'm getting in some consistent riding and building a foundation for the mountain bike season. It's tough to fit in a couple of weeks over in Europe during that period. 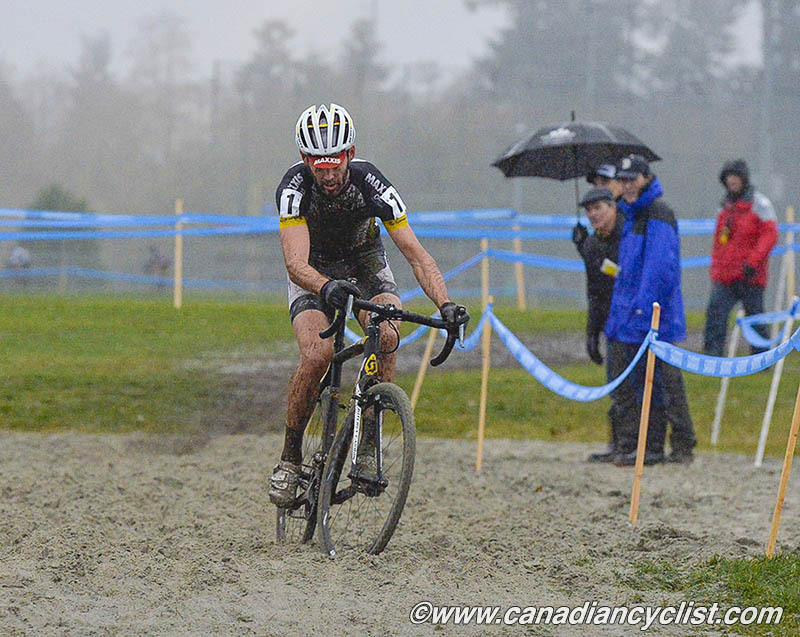 Q: What kind of race would you like to have at the Shimano Canadian cyclo-cross Championships? GK: It's always fun to have a competitive event and there is a bunch of guys I know that would really love to win the title. I just hope I'm going to be healthy and have some good legs, and hopefully everyone else comes in and puts up a good fight and we can put on a good show. I'd definitely like to keep that jersey for another year. No gifts, that's for sure. Q: What kind of conditions are you hoping for at Nationals? GK: I love seeing a bit of weather. Cross is not quite the same if it's dry and warm. Hopefully it's not too bitterly cold like it was in Bend last year but even a little bit of snow makes the racing more fun. It sounds like they are really excited about it in Winnipeg so I'm definitely looking forward to the race. Q: Tell us a little about your teammates who will be at Nationals. Q: What do you have planned after Canadian Nationals? GK: After Nationals we have a big SCOTT-3Rox launch party in Toronto for our 2015 team on Tuesday. Then I go straight to the Cincy3 CX Festival in Cincinnati and next to Iceman Cometh, a big mountain bike race in Traverse City, Michigan. Then I'll come back [to North Vancouver] and reset. After that I'll most likely go to the Bend, Oregon 'cross weekend. Q: Is the film Working Dogs actually about an inside look at you as an athlete and person? Q: So what motivates you? GK: I think I talk about it in the movie, but it's more of an internal motivation. I just really love the sport and riding my bike and I'll continue doing that for sure once I stop competing. But I definitely love the competition as well. I guess it's the final test of all the hard work you do, taking a lot of satisfaction out of working hard and seeing the results. Q: You started racing 22 years ago. How long will you continue to race? GK: It's something I'm still really enjoying and it has a lot to do with the atmosphere and my team. SCOTT-3Rox is a great group. Really great sponsors support me. The next couple of years, through 2016, I'll stick to the World Cup XC focus, but there's a lot of other disciplines I really love doing and wish I had more time for. There are specific events I'd like to be at, like the 2016 Olympics. But more for me what I really enjoy about racing is the process - the training and being healthy and seeing what I can achieve with my body. I like getting to races ready to perform. I still feel I have stuff to learn. It's a great lifestyle that I'm going to try to continue as long as I can. But I definitely I don't want to be competing at the highest level if I don't think I can be competitive. I'm still feeling that my body is up to the challenge. As I always say, I keep going 'til the fun stops. The Shimano Canadian cyclo-cross Championships is a three-day cyclo-cross festival taking place October 24 to 26, 2014 at The Forks in Winnipeg, Manitoba. 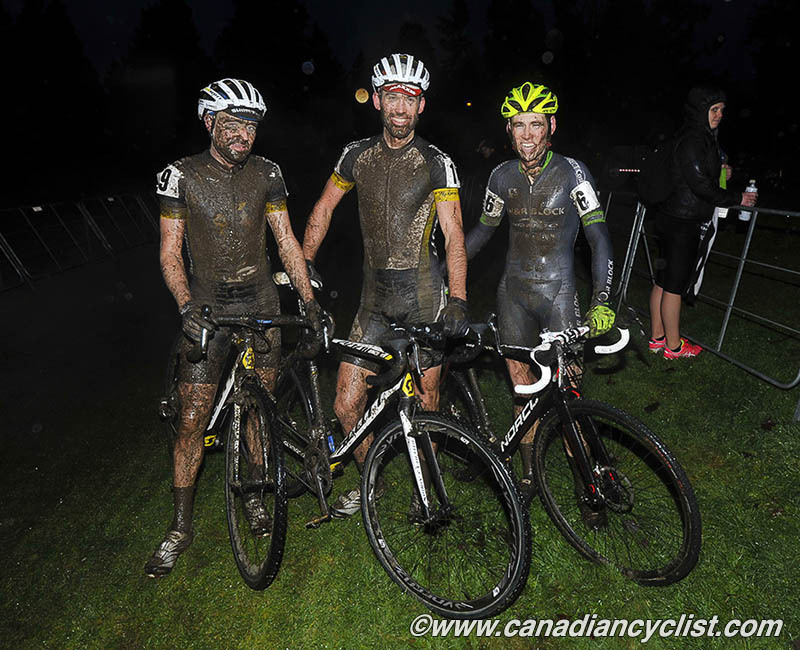 The weekend's marquee event is the Canadian cyclo-cross Championships on Saturday, October 25. Racing continues on Sunday with the Manitoba Grand Prix of cyclo-cross, an international UCI C2 race open to professional and amateur athletes. The Kick Cancer cyclo-cross Derby launches the weekend on October 24 with a series of fun races and educational opportunities for riders of all abilities to benefit the Cancer Care Manitoba Foundation. Winnipeg welcomes the festival again in 2015 with continued support from title sponsor Shimano. Find more information at winnipegcx2014.ca.